Murphy’s career has taken her all over the world. 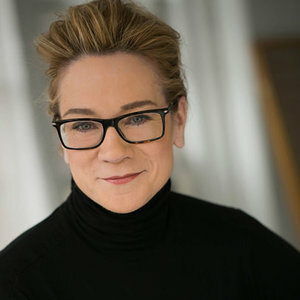 Kathleen Murphy brings 16 years of on-camera and Executive Producing experience for national networks to her work with authors, athletes, executives, entrepreneurs and CEO’s. She traveled daily with the Tour de France race through the French countryside creating and reporting daily features and conducting cyclist interviews; lived in the canopy of the rain forest of Costa Rica; explored witchcraft and politics in Cuba; fly-fished the rivers of Montana and lived on a boat in Alaska king salmon waters, adopting a dog sledding team. Her co-hosting with Regis Philbin garnered her the New York Post’s vote to replace Kathie Lee Gifford. Kathleen Murphy is an Amherst College graduate and has a graduate degree from Harvard University, Radcliffe College. She is a two-time New York City Marathon finisher and has read to the blind as a volunteer for twelve years.